Usually they just tell you to look out for creosote. A 19-year-old suspected burglar died this weekend after becoming stuck in the chimney of a home he attempted to rob. 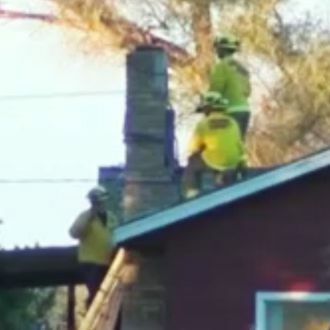 The man had been lodged in the chimney for nearly a day when the owner of the Huron, California, home lit a fire on Saturday afternoon and the man started yelling for help. According to the police report, the homeowner immediately called for assistance and extinguished the fire, but the intruder was dead by the time firefighters could dismantle the chimney. Coroners later identified him as Cody Caldwell; the cause of death was determined to be smoke inhalation and burns. Local news station KGPE reported that there has been a spate of break-ins in the area recently.